God is using GFA-supported film ministry to show thousands of people His love and sacrifice for them. Over the years, many have come to embrace Christ as Lord after watching a film on Jesus’ life. GFA-supported film ministry is making a huge impact in many villages and individual lives. For your encouragement, below are a few stories of God’s faithfulness through this area of ministry. Thank you for being part of these stories through your prayers and support. Ikshan and Panmoli left their hometown in search of work, and while they were away, they met the Living God. When they came home, however, they didn’t have anywhere to worship—that is, until a GFA-supported film team came to their area. As people in these men’s village watched movies about the life of Jesus, God touched the hearts of eight other men and women. Ikshan and Panmoli, along with the other new believers, happily gathered to worship Jesus together every week, and it didn’t take long for more people to join them. Praise the Lord! Balan could feel a sense of calm enter his restless soul as he watched the film unfold. Christ giving up His life for mankind touched Balan’s heart so deeply, and he wanted to find out more. He had been restless in his heart for true peace. Maybe this was the answer? He asked for prayer from one of the film team members. The next day, Balan decided to give his heart to the Lord who had given him peace—peace he had long been searching for. Today, Balan and his family attend church faithfully and are growing deeper in love with Jesus every day. Devapi left his troubled home one morning in search of work. His father took to the bottle far too often. There wasn’t a day that went by where there wasn’t quarreling and fighting within the walls of his home because of his father’s alcohol addiction. But as Devapi walked through his village, he found something unexpected. Someone told him the latest news: A film was going to be shown that evening! 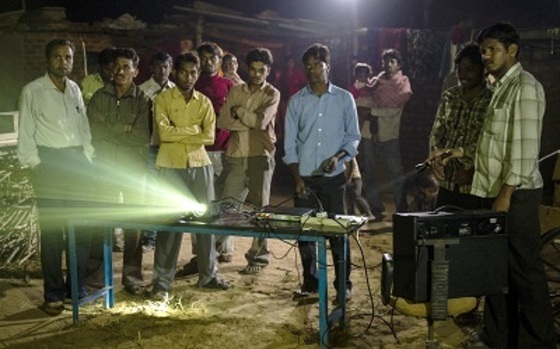 With interest, Devapi attended the film show and grew attentive as he saw how greatly Jesus had suffered for him. The sacrifice and compassion of God drew him in. Because of this film, Devapi now has new life in Christ! After discovering the story of the loving God, Devapi eagerly shares it with those he meets. Alcoholism is one of the main culprits in disrupting—even wrecking—families. 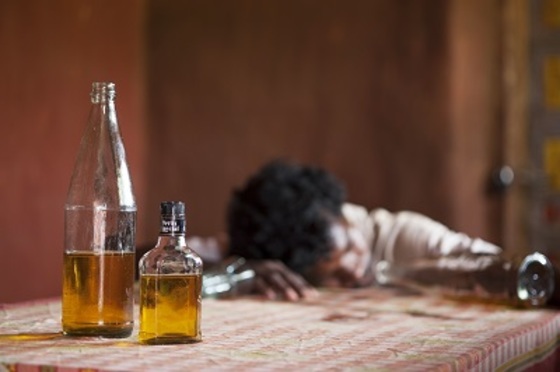 But after watching a film on the life of Jesus, people are finding redemption and deliverance from the bottle. A villager named Saju stood up among the crowd. After watching the film about Jesus, he was deeply moved. The film team made it to Saju’s village—a village many refused to travel to because the roads were so terribly rugged. But God had a plan for this village and for the many believers living there who had grown stagnant in their faith. Through the showing of the film, they were encouraged to set their hearts afresh on the Living God. As a result, many gave their hearts fully to Christ. These kind of stories happen daily. God is doing so much through your prayers and support. It is our hope at GFA that these small stories give you a window into what God is doing across the globe. Thank you for standing with us!